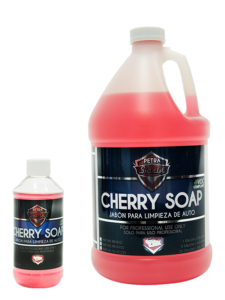 Petra Cherry Soap is an ultra thick, highly concentrated liquid soap that quickly removes dirt, leaving a clean and film free surface. This product is specially formulated to create a high volume of suds. 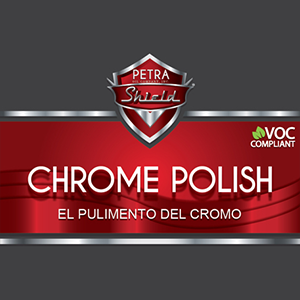 Petra Cherry Soap is safe for all paint finishes. Highly concentrated and able to be mixed with water, Petra Cherry Soap is cost effective. 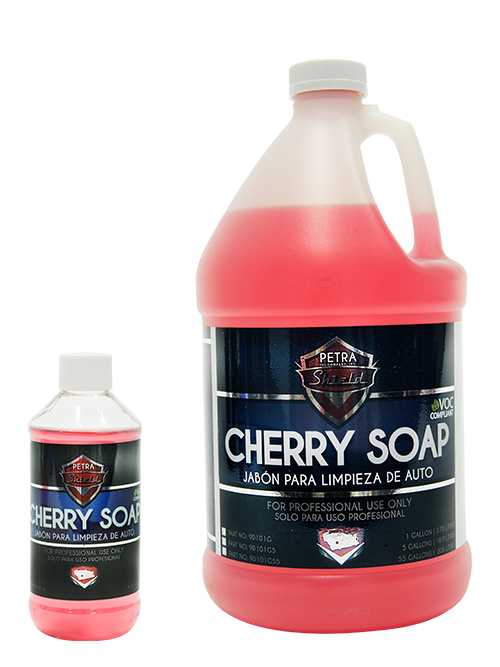 Petra Cherry Soap is safe for all paint types because of its pH balanced formula and non-streaking properties. 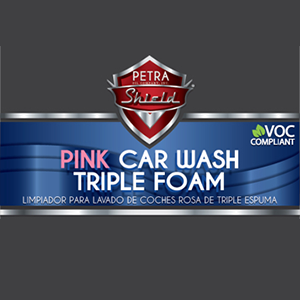 The stable foam of Petra Cherry Soap lifts and holds dirt in suspension and promotes film-free rinsing. 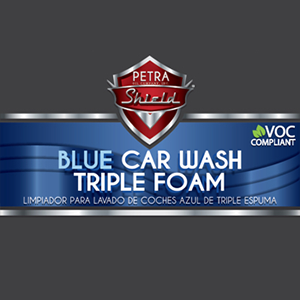 PetraShield New Car Scent Odor Eliminator is an effective odor control solution for a wide range of malodors found on hard surfaces and fabrics. The advanced chemistry of PetraShield Odor Eliminator captures malodors for immediate odor control, while beneficial microorganisms degrade odor causing bacteria for long lasting odor control. Consult the Safety Data Sheet (SDS) for complete safety information, available from your local representative or our company website upon request. 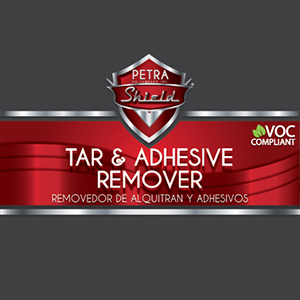 PetraShield Leather Scent Odor Eliminator is an effective odor control solution for a wide range of malodors found on hard surfaces and fabrics. 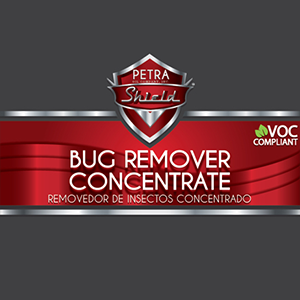 The advanced chemistry of PetraShield Odor Eliminator captures malodors for immediate odor control, while beneficial microorganisms degrade odor causing bacteria for long lasting odor control. A unique pH balanced, high-foaming clear coat conditioner. 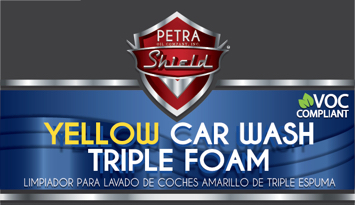 Available in bright pink, blue, and yellow colored foam, Triple Foam contains the highest quality surface reactive polymeric silicones available which help provide a long-lasting gloss appearance and protective coating. 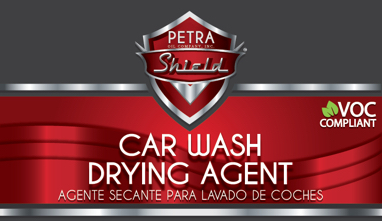 Removes excess alkalinity and dehydrates water allowing vehicle surfaces to dry faster. A fantastic rich colored foam show. The tri-colored foam and optical brighteners are a must for customer appeal. Designed to maintain and preserve clear coat finishes as well as all modern acrylic and enamel finishes. 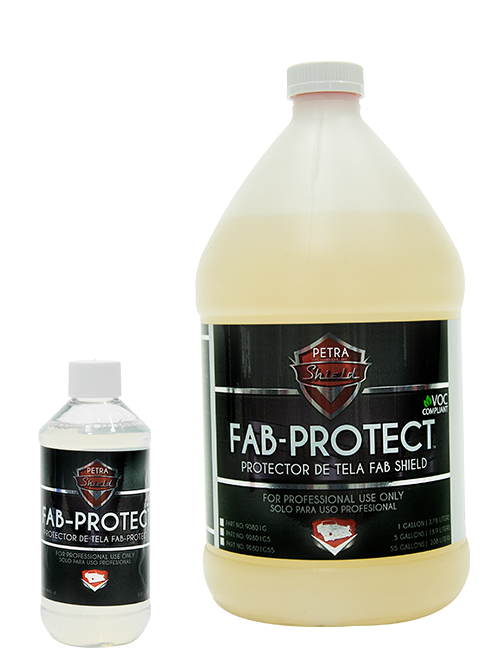 Protects finish from harmful sun rays, acid rain, and winter salts. Compatible with all tri-color foam arches. For direct feed applications, apply 1.5 ounces of concentrate per vehicle through a compressed air foam polish arch. If using a Hydrominder Proportioning System, dilute 75:1 (brown tip) to 120:1 (purple tip). Do not allow to freeze. Freezing separation can occur at 32 degrees Fahrenheit. Premium liquid presoak for frictionless washing. Cleaning is accomplished through a well-balanced blend of foam, alkalinity, and solvent. Gently penetrates and loosens difficult to remove road films, oils, and heavy soils without harming vehicle surface. Non-corrosive, leaves no film residue. Will not dull or streak finish. For best results, starting dilution should utilize a yellow HydroMinder tip, 90:1 (pH approximately 11). Best cleaning occurs when temperature of solution is approximately 120 degrees Fahrenheit. High lubricity foaming agent designed for use in all foam, cloth, and brush washes. 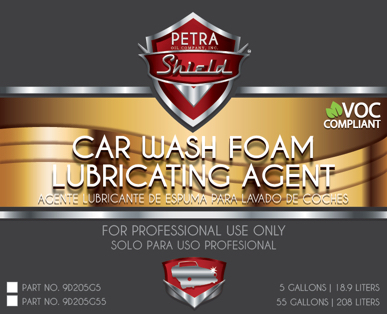 Produces a thick, rich lather for added lubricity so foam, cloth, and brushes easily glide over vehicle surface. Great combination of foaming and cleaning. Penetrates and solubilizes stubborn road film while producing a rich, customer-appealing lather. 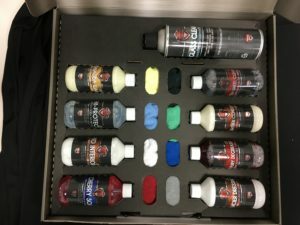 Helps prolong the life of foam, cloth, and brushes. Designed for use in hybrid, conventional tunnels, and rollover washes. Apply through foamers or central soapers. Conveyor and Rollovers – Final dilution will range from 120:1 to 240:1. For those units using a metering pump, use ¾ ounce per gallon of water. Foamers – Final dilution is 120:1. 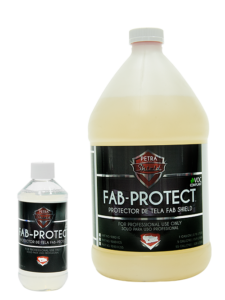 A revolutionary new protectant designed to maintain and preserve clear coat surfaces as well as modern acrylic, metallic, and enamel finishes. Formulated with the highest quality surface reactive polymeric silicones available. Clear Coat Wax provides a visible high-gloss appearance and protective coating which can last up to 30 days. Leaves vehicle finish with that hand polished look and feel! Seals in the shine and protects the finish. 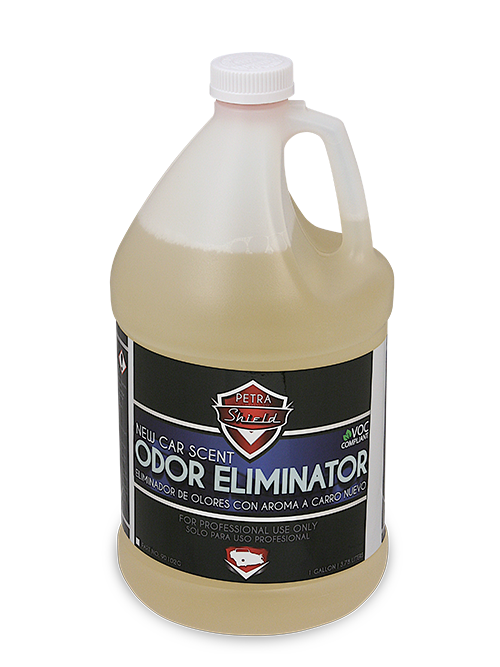 Helps reduce adhesion of dust, pollen, tree sap, bird droppings and brake dust on vehicle surfaces. Apply under high or low pressure and achieve the same fantastic results. For use in tunnel, in-bay automatics, and self-service washes. 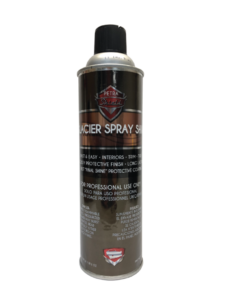 Protects all vehicle finishes from harmful sun rays, acid rain, and winter salts. For high and low pressure applications, dilute 90:1 to 120:1. If using a hydrominder proportioner, use a yellow or purple tip. Do not allow to freeze. Freezing separation can occur at 32 degrees Fahrenheit. Carnauba Crème Wax contains silicone and carnauba wax designed to remove minor paint imperfections and maintain a long lasting, deep gloss shine. 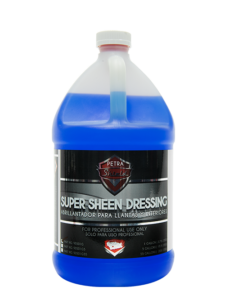 Its special formula protects your vehicle’s finish from damaging ultraviolet rays. 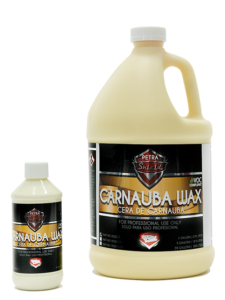 Carnauba Wax contains a unique blend of mild abrasives and silicones that cleans and shines in one easy step. 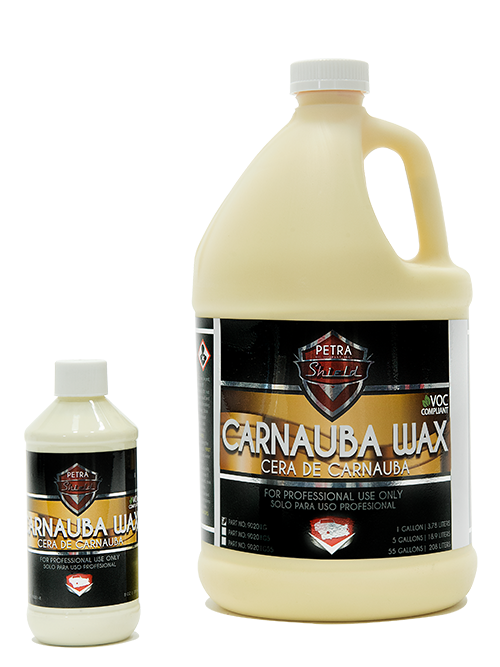 The special lubricants in Carnauba Wax simplify both application and removal. Carnauba Wax is formulated to Produce a deep, long-lasting gloss. Finishes are protected from sun’s ultra-violet rays. Carnauba Wax is VOC Compliant. 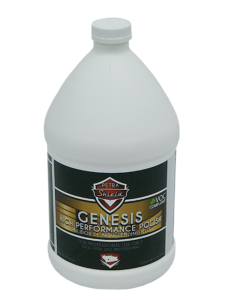 Genesis™ High Performance Polish is our most advanced polish that offers superior, defect-free results for critical, high-end applications on dark color paints. This product is completely dust-free and utilizes Nano technology and micro abrasives to remove light to moderate paint imperfections while achieving excellent surface quality and shine. This polish is body shop safe and contains no silicone or fill-in glaze or wax. It can be used safely on fresh paint or soft clear coat finishes. Haze, swirl, and dust free. 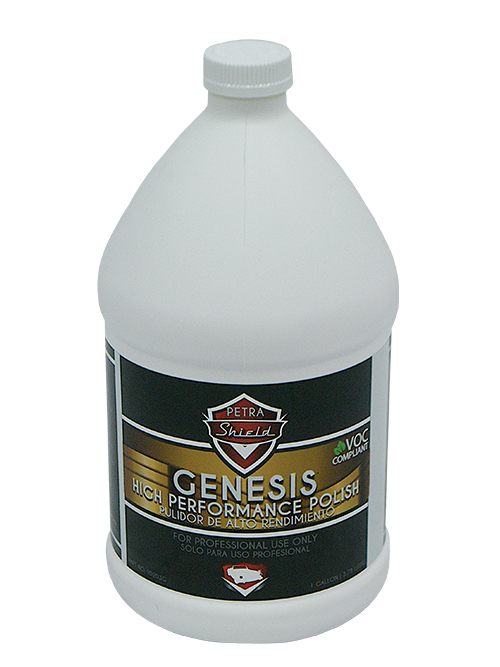 Genesis™ High Performance Polish is Body Shop safe and contains no silicone or fill-in glaze or wax. The product formula utilizes Nano technology and micro abrasives to remove light to moderate paint imperfections while achieving excellent surface quality and shine. Safe on fresh paint or clear-coat finishes. Genesis™ High Performance Compound quickly and safely removes a minimum of 1200-grit sanding scratches on fresh or old paint, leaving a high-gloss, swirl-free finish. The compound is body shop safe, and contains no wax, silicone, or fillers. Our compound features Nano abrasive technology and beneficial lubricating agents which have excellent scratch removal and leveling characteristics with zero dust residue. This product is safe and effective on all surface coatings. Contains no wax, silicone, or fillers. This compound features Nano abrasive technology and beneficial lubricating agents which have excellent scratch removal and leveling characteristics. It is easy to use and completely dust free. 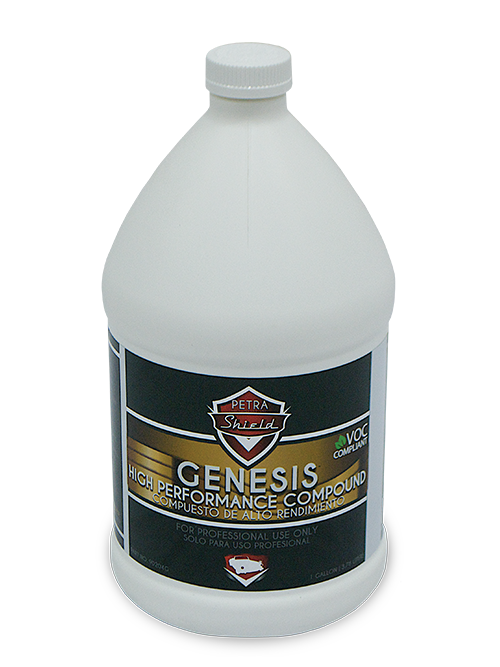 Genesis™ High Performance Compound is safe and effective on all surface coatings. Pro Interior Dressing is a water based, satin gloss, non-greasy, ready to use dressing that shines and protects rubber, plastic, and vinyl surfaces. For both interior and exterior applications, Pro Interior leaves surfaces looking like new. 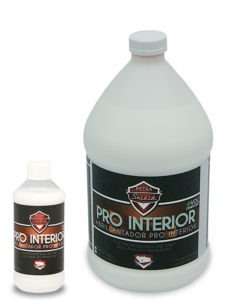 Pro Interior Dressing effectively shines and protects rubber, plastic, and vinyl surfaces. 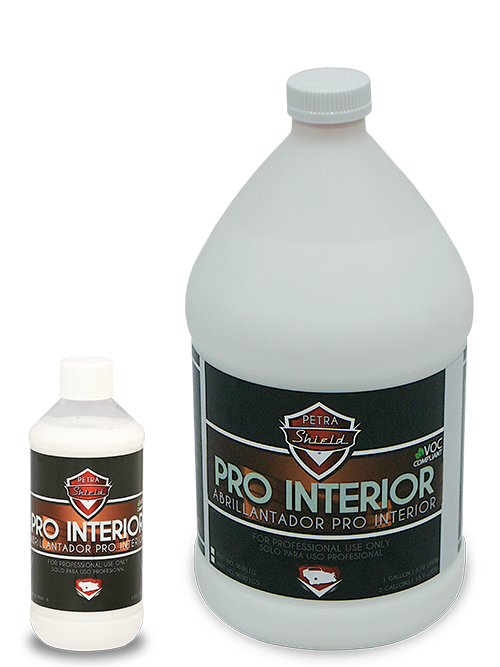 The water-based formula of Pro Interior contains no harsh solvents. Pro Interior’s satin gloss provides a “like new” appearance. 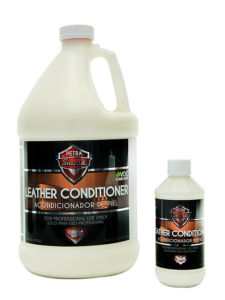 Leather Conditioner and Cleaner is a ready to use, lanoline based lotion formulated to restore the original texture and appearance of leather by replacing its natural oils, leaving leather soft and supple. 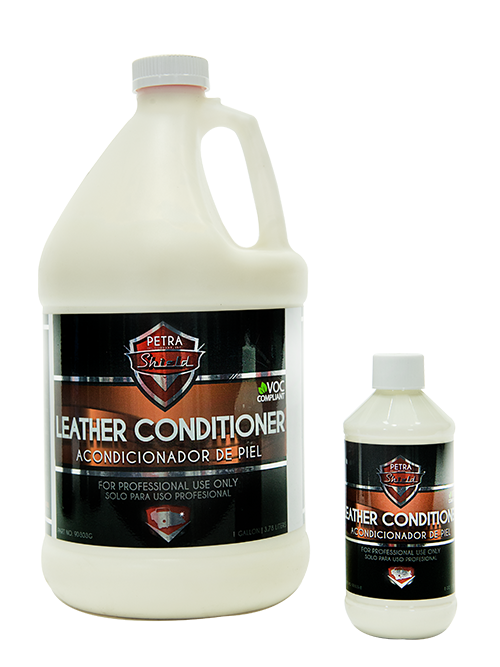 By replenishing leather’s natural oils, Leather Cleaner and Conditioner restores the original appearance of leather and prevents cracking. 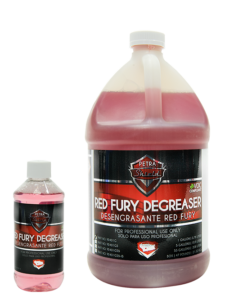 Red Fury Degreaser is a concentrated, heavy duty cleaner and degreaser. 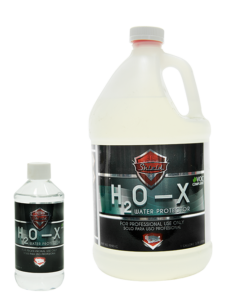 This product is water based, low foaming, highly alkaline, and formulated for both interior and exterior use. Concentrated and able to be mixed with water, Red Fury is cost effective. 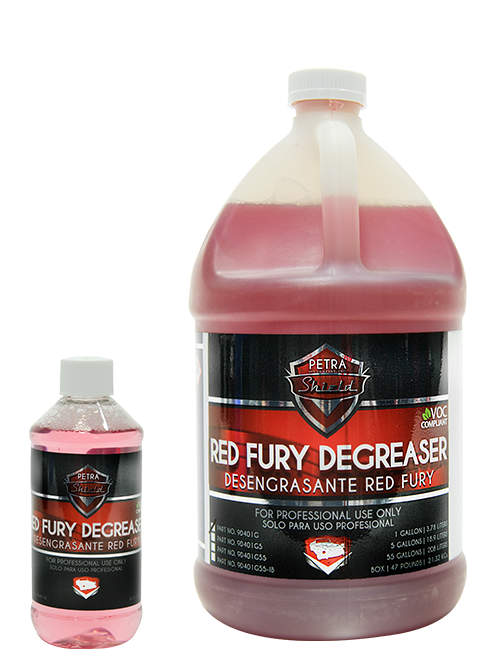 Red Fury contains alkalis and surfactants that loosen and remove stubborn dirt and grime. Water-soluble solvents dissolve grease and tar. Extremely versatile product – effectively cleans engines, exterior grillwork & rocker panels, and interior rubber, plastic, and vinyl surfaces. 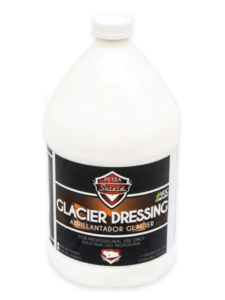 Glacier Dressing is a thick, water based, high gloss, non-greasy dressing that leaves behind a deep, rich shine and fresh sweet pea scent on rubber, plastic, and vinyl surfaces. Glacier Dressing effectively shines and protects rubber, plastic, and vinyl surfaces. Glacier Dressing can also be used to dress engines. Water-based formulation contains no harsh solvents. The thick formula of Glacier Dressing stays where applied, minimizing streaking. High gloss provides a deep, rich shine. 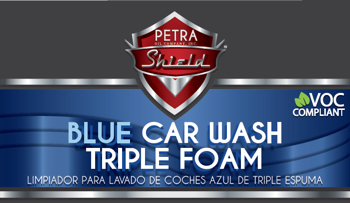 PetraShield Glacier Spray Shine is a non-foaming coating which provides a water-resistant high gloss shine. This product will brighten most plastic, vinyl or rubber surfaces. Great for those hard to reach places! Glacier Spray Shine works best if the surface is cleaned first. 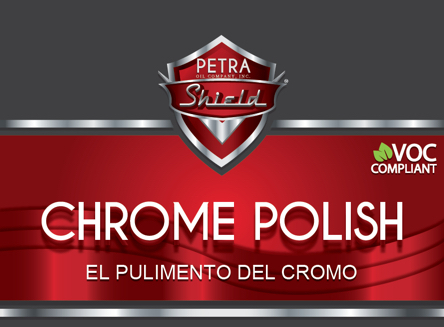 Product cures to a glossy protective shine in minutes. Leaves an extra long-lasting shine that repels dirt, salt and grime. Protects against discoloration, oxidation and ozone deterioration. Brightens plastic, vinyl and rubber. 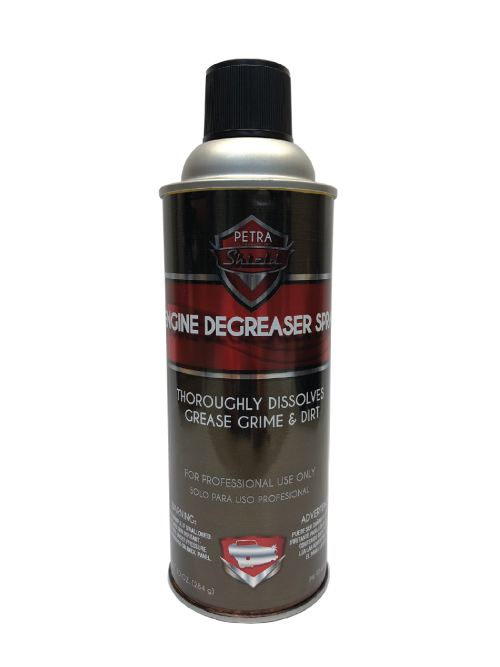 PetraShield Engine Degreaser Spray is an easy to use foaming spray. Spray it on to a warm engine, watch it foam and dissolve grease, grime and dirt! Dissolves grease, grime and dirt. For auto, marine and tractors. Citrus Cleaner with D-Limonene is a ready to use, all purpose cleaner suitable for all cleaning jobs. 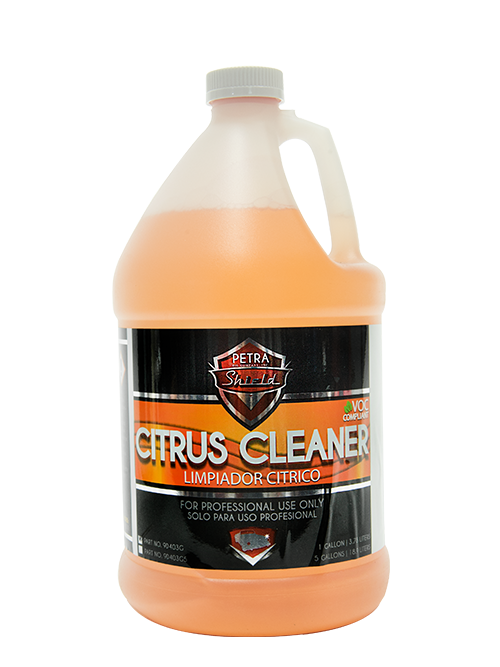 Citrus Cleaner is a ready to use product that requires no mixing. Its Alkalis and surfactants loosen and remove stubborn dirt and grime. This product contains water-soluble solvents that dissolve dirt and grease. 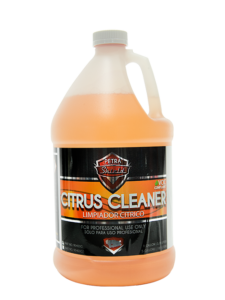 Citrus Cleaner utilizes D-Limonene for gentle, natural cleaning. 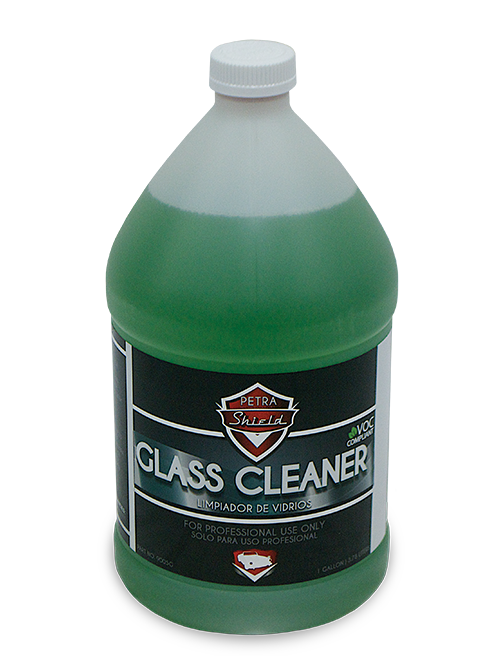 This product is an extremely versatile all purpose cleaner for interior and exterior applications. 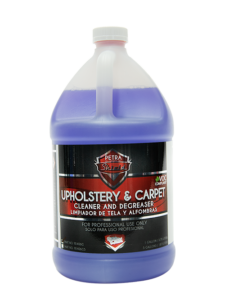 Upholstery & Carpet Cleaner is an extremely versatile light to medium strength cleaner and degreaser that is safe and easy to use. This product features a high penetrating foam which effectively cleans upholstery, carpeting, rubber, plastic, vinyl, grill work, rocker panels, and engines. Concentrated and able to be mixed with water, Upholstery & Carpet Cleaner is cost effective. Alkalis and surfactants loosen and remove stubborn dirt and grime. High penetrating foam lifts and holds soil in suspension for easy rinsing. 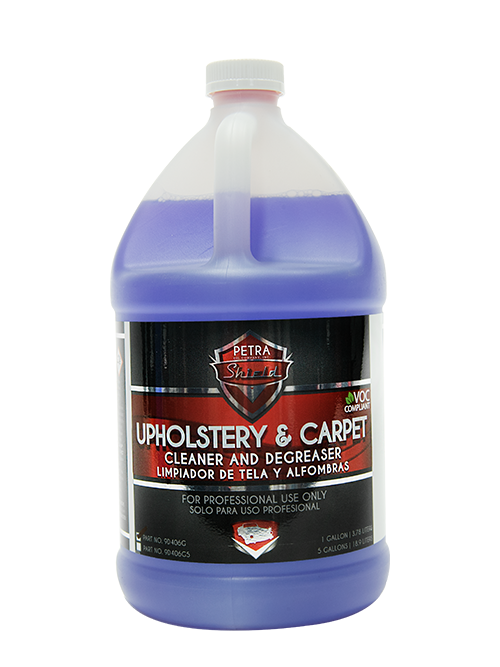 Upholstery & Carpet Cleaner is an extremely versatile product – effective cleans upholstery, carpet, rubber, plastic, and vinyl. 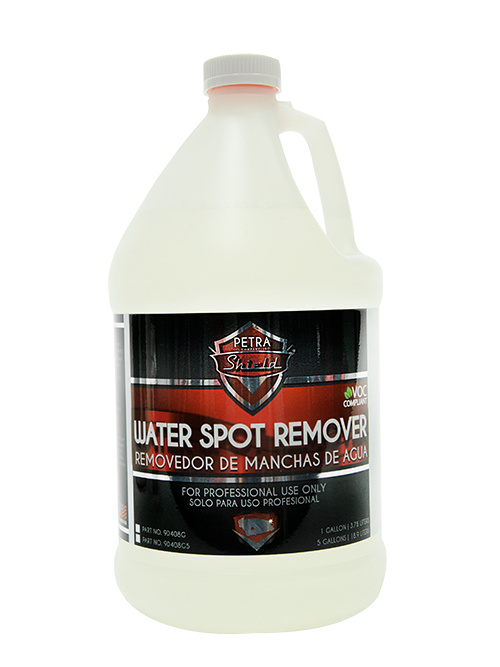 PetraShield Water Spot Remover is a clear non-acid based cleaner that effectively removes water spots from painted, chrome, and glass surfaces. 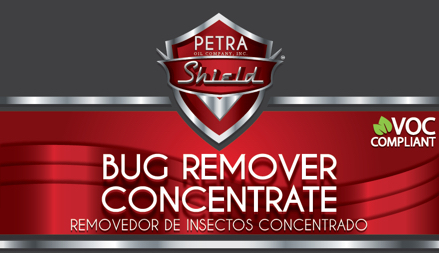 Petra Shield Bug Remover is a biodegradable 1:1 concentrate which is a non-caustic, non-volatile liquid that loosens bug and insect residue on glass, chrome or any painted surface. 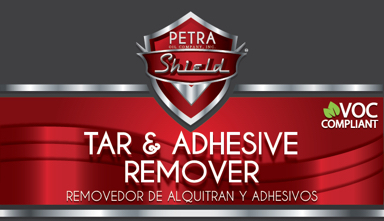 Petra Shield Tar and Adhesive Remover is a ready-to-use clear solvent blend formulated to remove tar and label adhesive from exterior glass, chrome and painted surfaces. 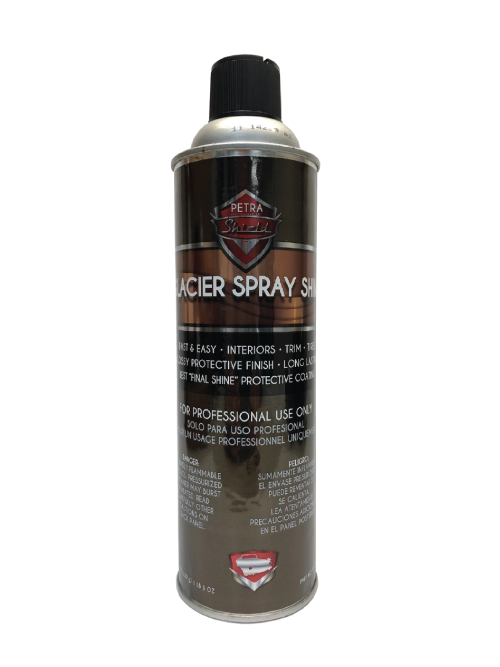 Revolutionary new berry scented polymer based drying agent/clear coat protectant containing siliconized carnauba for enhanced shine and maximum drying capabilities. Multi-purpose – works as both a clear coat protectant and drying agent. 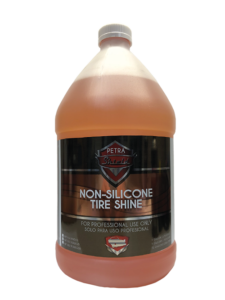 Fortified with siliconized carnauba to impart shine and protection while providing enhanced water break and sheeting for optimal dryer performance. Excellent for use in in-bay automatics and tunnel car washes. Effective in both high and low pressure applications. For high and low pressure applications, dilute 90:1 to 120:1. If using hydrominder proportioner, use a yellow or purple tip. Do not allow to freeze. Freezing separation can occur at 32 degrees Fahrenheit. 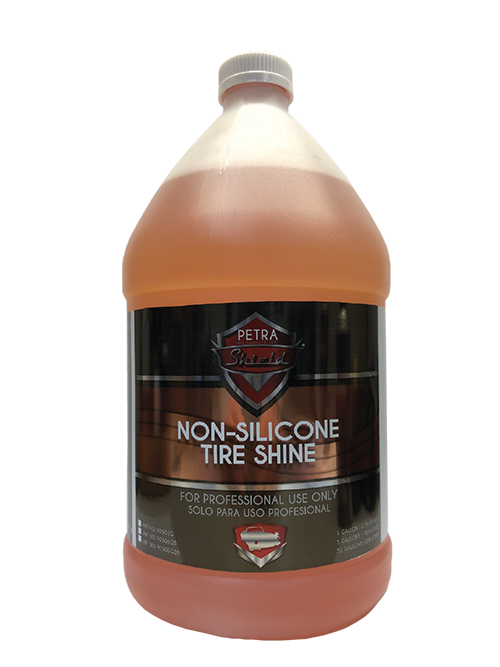 PetraShield Non-silicone tire shine is an ultra-high gloss dressing. Apply with a sponge to tires, vinyl bumpers and air conditioner vent deflectors. This product does not contain silicone and is safe for body shops. 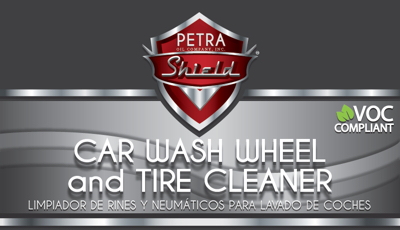 Non-acid wheel and tire cleaner concentrate. Safe for use on all wheels – including chrome, aluminum, and magnesium. Virtually eliminates the need for scrubbing. Simply spray on and rinse off. Environmentally friendly. Contains no harsh acids or petroleum distillates. Dry tires and wheels: Dilute 8:1. Wet tires and wheels: Dilute 4:1. For use as a prep solution: Dilute 64:1. Do not allow product to dry on wheels. 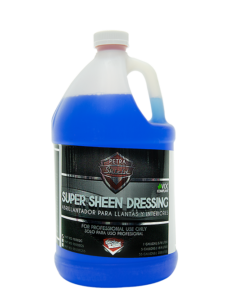 Super Sheen Tire Dressing is a ready to use, high gloss dressing for use on both interior and exterior rubber, plastic, and vinyl surfaces. This product is solvent based and non-greasy. Contains silicone. 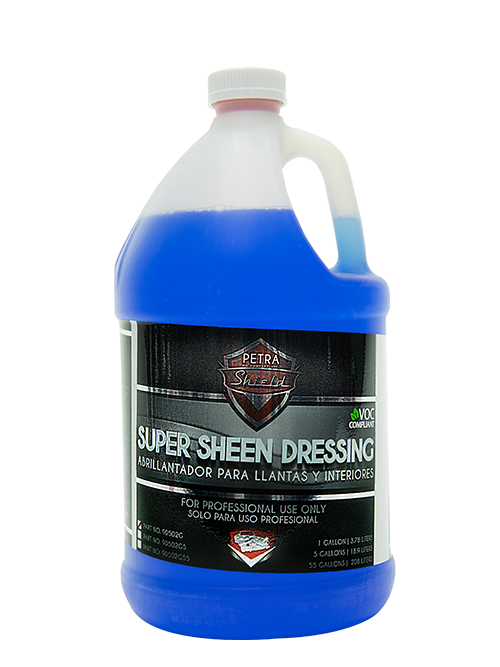 Super Sheen Tire Dressing effectively shines and protects rubber, plastic, and vinyl surfaces. 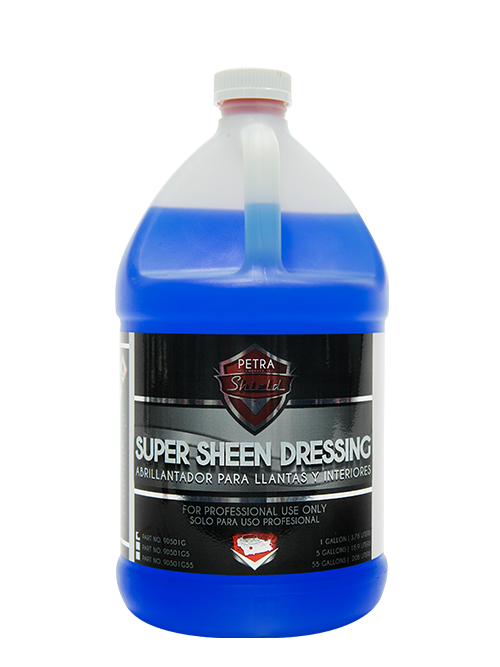 The solvent-based formula of Super Sheen penetrates surface, enhancing durability. High gloss gives “like new” appearance. Super Sheen is fast drying. 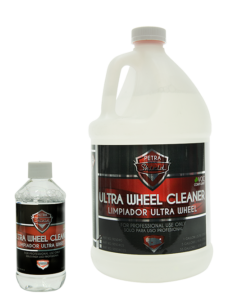 Ultra Wheel Cleaner is a concentrated, heavy duty cleaner and brightener formulated for chrome plate, aluminum, and magnesium wheels. 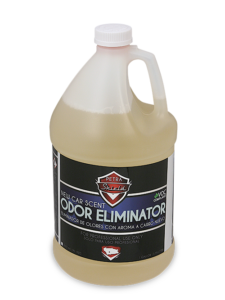 This product is clear and acid based, effectively removing dirt, grease, brake dust, and road film without scrubbing. This product will not harm paint when used as directed. 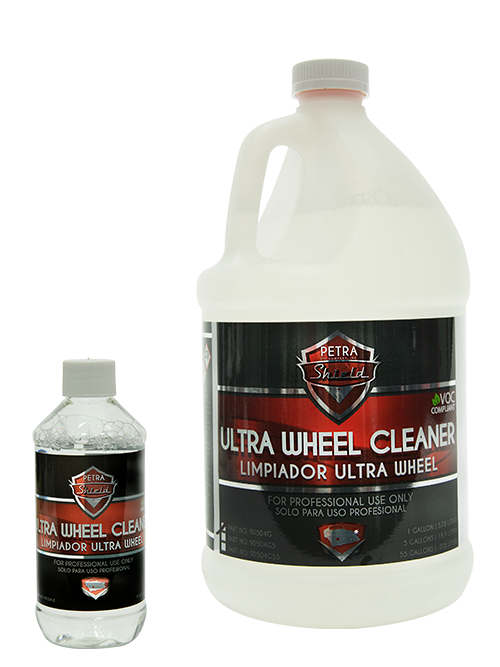 Ultra Wheel Cleaner cleans and brightens without scrubbing. 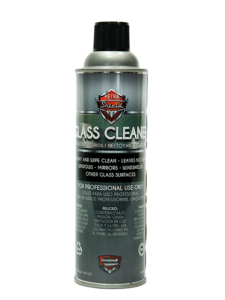 Effectively removes dirt, grease, brake dust and road film from all alloy and clear-coated wheels. 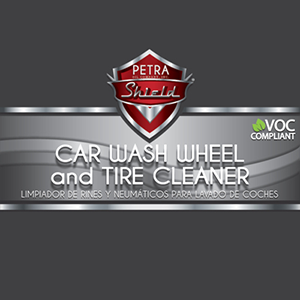 Petra Shine is a ready to use spray on and wipe off liquid wax. 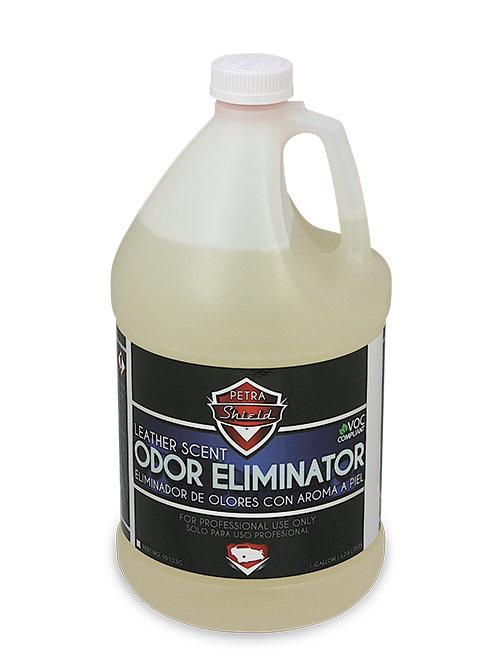 This product is easy to use and is specially formulated to remove dirt, fingerprints, and smudges as well as enhance the gloss of showroom vehicles. 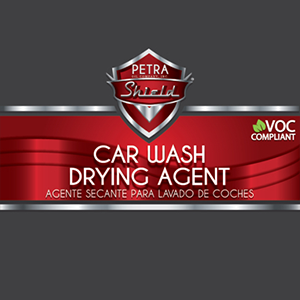 Petra Spray Shine is ready-to-use and easily applied. 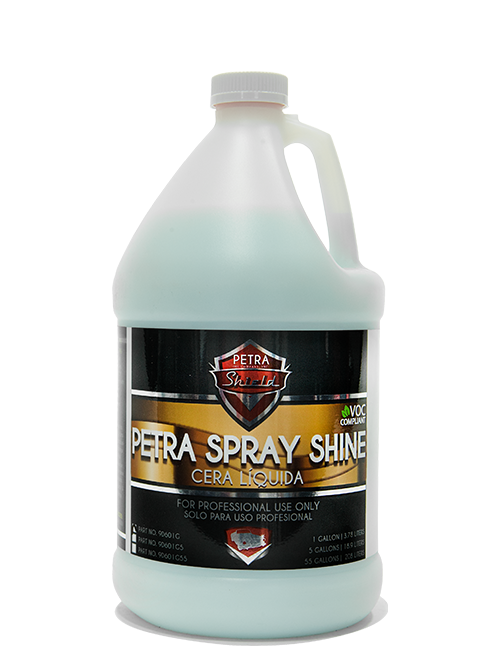 The special blend of silicones in Petra Spray Shine intensifies gloss. 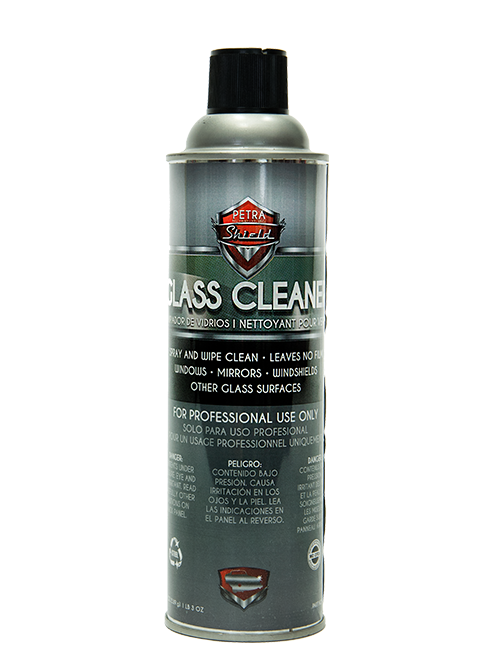 Effectively cleans and shines paint, chrome, and glass. 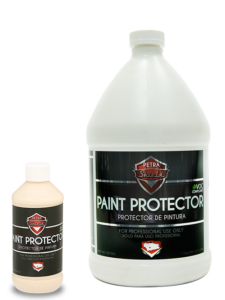 Paint Protector is a high quality protectant blended with the richest polymers to ensure a durable, high gloss finish on both clearcoat and conventional surfaces. This product contains PTFE coating which seals and protects surfaces from fading, oxidation, acid rain, and the elements. 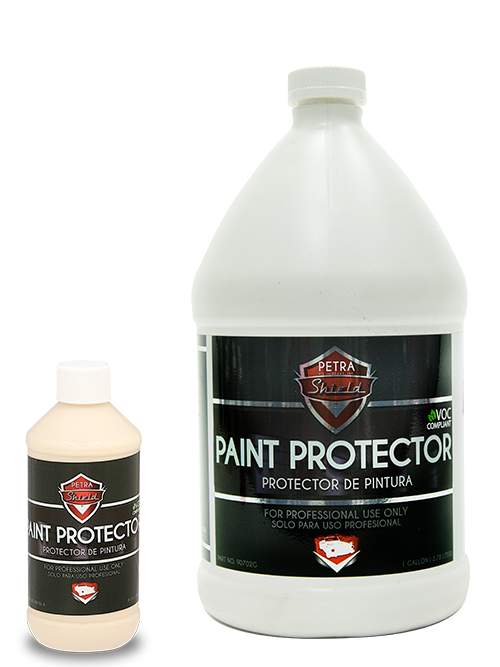 Paint Protector contains a special blend of polymers that bond to the finish, providing long-lasting protection. PTFE fortified formula makes the product easy to apply and remove. Paint Protector can be applied by hand, orbital buffer or a high speed buffer. 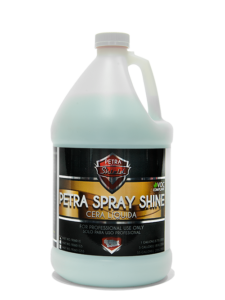 Petra Shield Fab Protect Features Fluoro-Chemical technology specifically designed to impart soil and stain protection through optimal water and oil repellency when applied to upholstery, carpeting, and apparel. 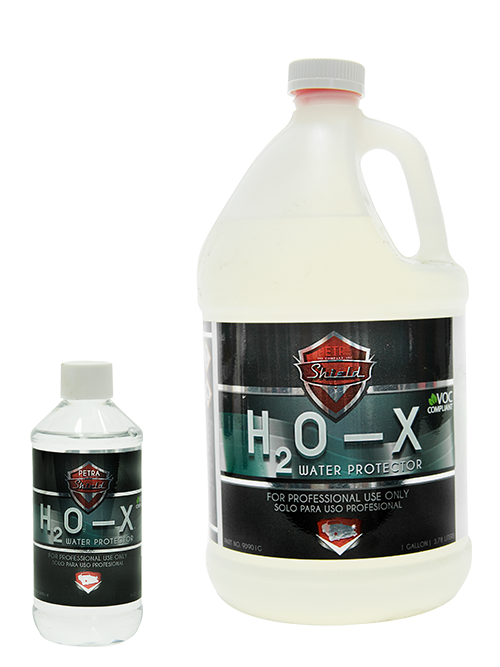 H2O-X™ is a long lasting glass treatment product that forms a chemical bond with glass which increases water repellency, causing water to bond and easily shed off glass for superior visibility. Petra Glass Cleaner is a multipurpose cleaner great for institutional, commercial, and industrial use. 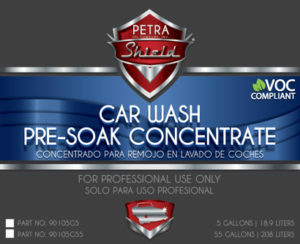 Petra Glass Cleaner cleans & polishes windows, mirrors, windshields. Spray and wipe with no film residue. 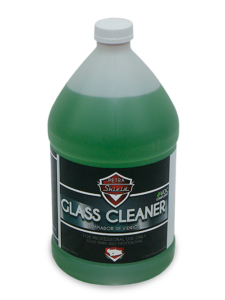 Great for windows, mirrors, windshields and other glass surfaces. 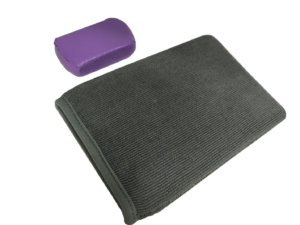 Hi-Foam penetrates the surface to lift the dirt, providing a deep clean. Ideal for all types of cars, trucks, marine engines, clipper machines, motorcycles or motor 2 and 4 stroke. 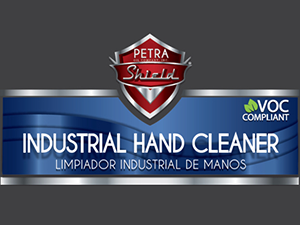 Petra Glass Cleaner is a multipurpose cleaner great for institutional, commercial, and industrial use. Petra Glass Cleaner cleans and polishes windows, mirrors, windshields. Its formula is safe for use on tinted glass. 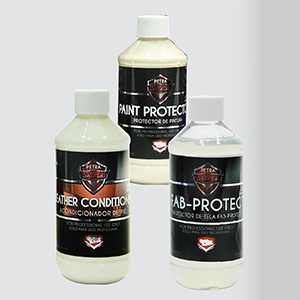 Comprehensive kit of appearance and protection products to care for interior and exterior of vehicle. Petra Clay Bar & Clay Mitt are designed to give your vehicle the optimum smooth finish from overspray, certain environmental deposits, tree sap, bugs and other elements. Prepares vehicle for other paint applications. 1 bar or mitt good for approx. 30+ vehicles. An all-natural, non-solvent industrial hand soap. Designed for the toughest cleaning without drying out your hands. Multiple emollients and conditioners actually heal chapped skin with repeated use. An environmentally friendly product – does not contain petroleum, distillates, dyes or perfumes. Contains an anti-microbial ingredient and superior skin emollients and skin conditioners that eliminate drying and cracking. Contains natural walnut shell scrubbers that are less abrasive to skin. Super concentrated formula reduces hand soap use by up to 75%. Washes away completely leaving no greasy residue. Lifetime guarantee on the dispenser (#9DHS-1). Use on hands to liquefy and remove stubborn industrial soils, grease, oil, tar, ink and paint. Apply to hands, spread over knuckles, palms, and fingers; and then add a small amount of water and lather. Rinse thoroughly with water. PetraShield Non-Acid Wheel Bright not only brightens wheels, it also removes hard water spots from paint and glass and removes rail dust from paint. 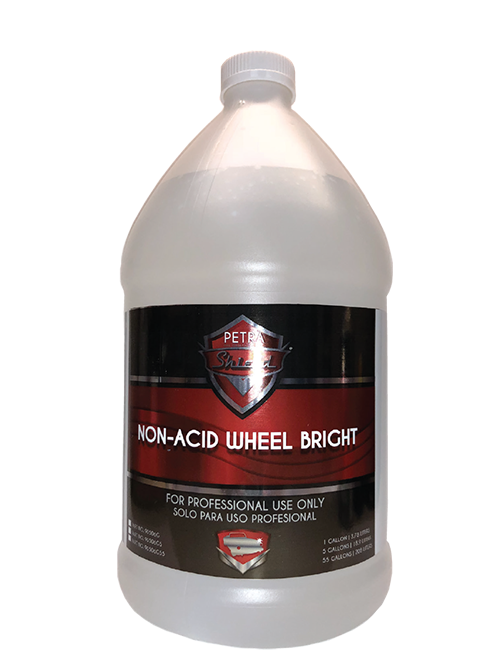 Non-acid wheel bright is also non-hazardous, does not damage paint, glass or metal. Do not use on polished aluminum. 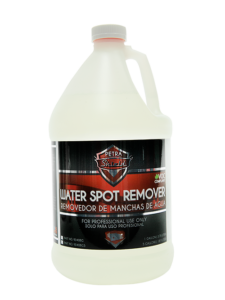 Removes water spots from paint and glass. Removes rail dust from paint. 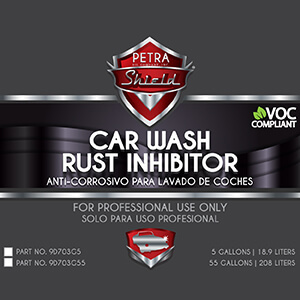 Highly concentrated liquid rust and corrosion preventative. 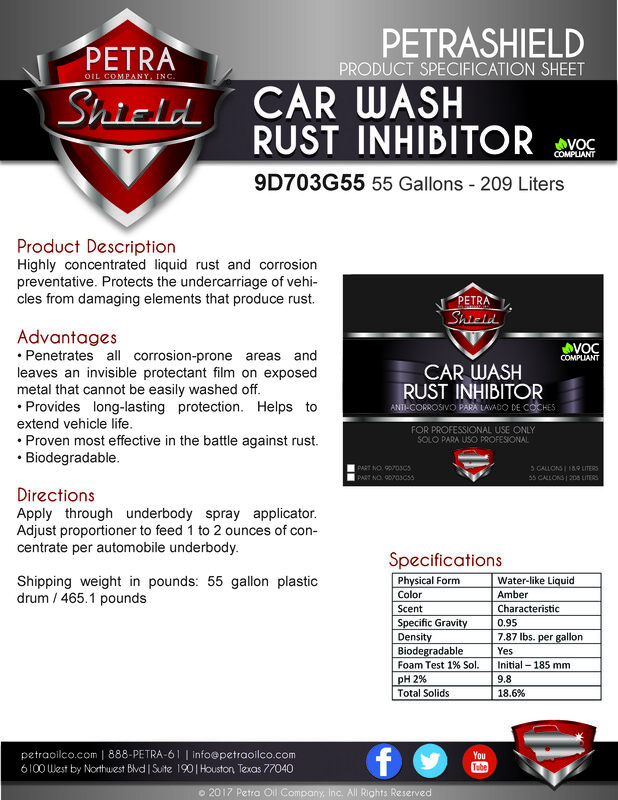 Protects the undercarriage of vehicles from damaging elements that produce rust. Penetrates all corrosion-prone areas and leaves an invisible protectant film on exposed metal that cannot be easily washed off. Provides long-lasting protection. Helps to extend vehicle life. Proven most effective in the battle against rust. Apply through underbody spray applicator. Adjust proportioner to feed 1 to 2 ounces of concentrate per automobile underbody. Shipping weight in pounds: 55 gallon plastic drum / 465.1 pounds. Protect your car’s upholstery, leather, glass, paint and tires with Petra’s Protection Pro Kit. 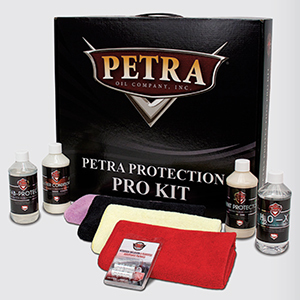 Protect your car’s upholstery, leather, and paint with Petra’s Protection Pro Kit II.